Fresh from a recent return to Paris Fashion Week to showcase their Autumn/Winter 2019 collection, Acne Studios are hitting us with a cool Spring campaign. 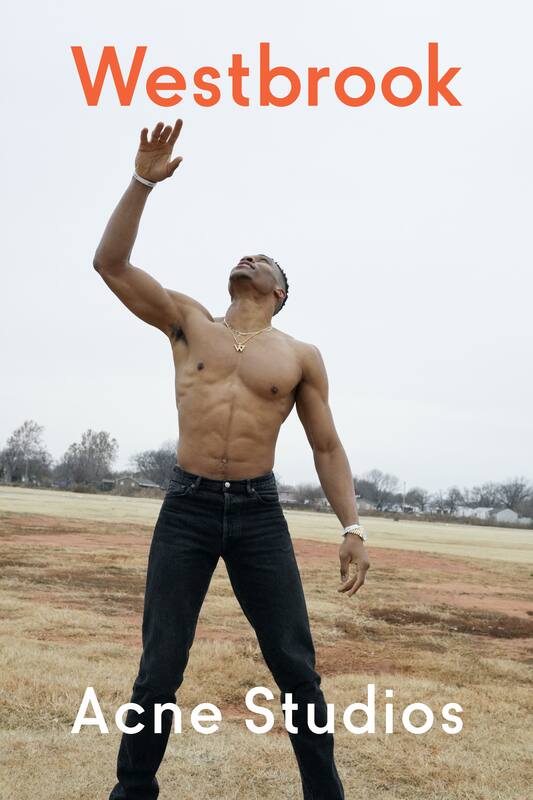 The brand have tapped NBA All-Star and two-time MVP Russell Westbrook to front the campaign; and behind the lens, none other than fashion's favourite photographer, Juergen Teller, who’s having something of a campaign moment (Saint Laurent, Vivienne Westwood…), in his first campaign for the Scandi brand. Not one to shy away from sartorial endeavours, Westbrook has previously designed a capsule with Barneys New York, collaborated with Religion and has his own street-wear label, Honor the Gift, starring in a huge campaign seemed the next logical step. 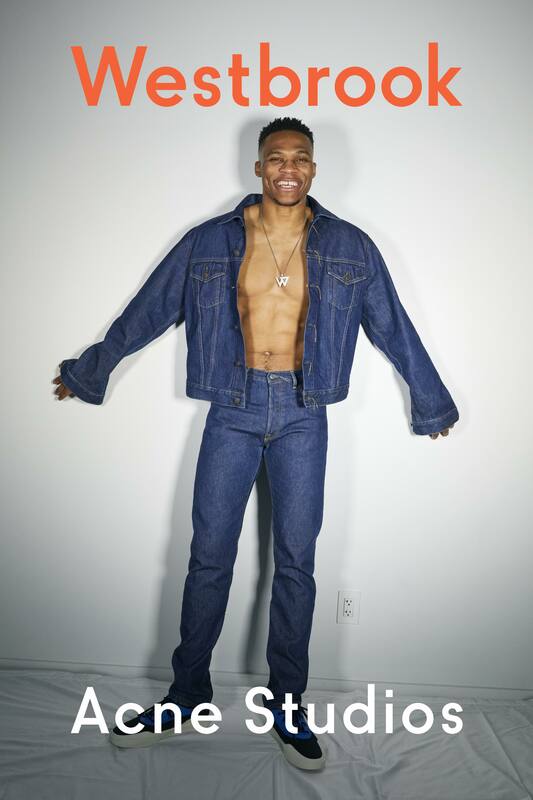 “I really identify with Acne Studios because their aesthetic is very unique, and I like to be unique too,” says Westbrook. Teller travelled to Westbrook’s resident state of Oklahoma to shoot him in his element, dribbling on an outdoor court wearing the Acne Studios 1996 jeans, the first ever produced by the brand.